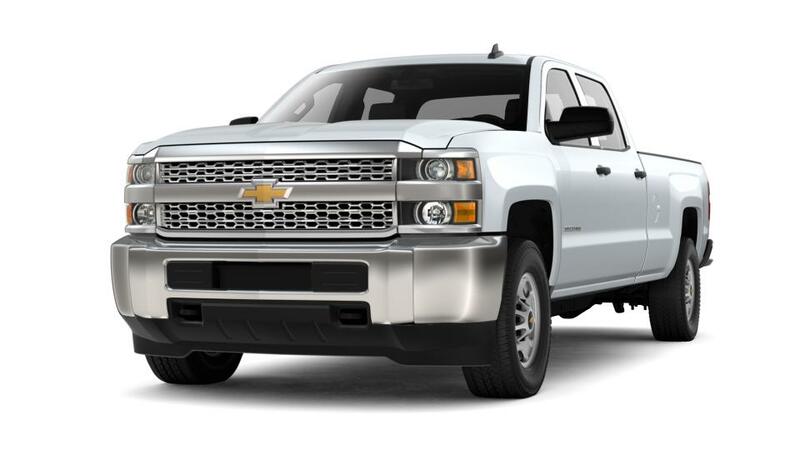 Why is the Silverado 2500HD such a popular vehicle for Modesto, Manteca & Turlock drivers? •	The Chevy Silverado 2500HD is a full-size, heavy-duty American pickup truck. •	It's a well-reviewed truck with a comfortable ride and quiet cabin, and it can tow your larger loads. •	The standard 6.0-liter V-8 provides 380 lb-ft of torque, but if you are looking for added power, the available 6.6-liter turbo-diesel V-8 makes 765 lb-ft.
•	It comes with several trims and engines, and helps you get the job done with 18,000 pounds of towing capability. •	There are a number of different models, including regular, double and crew cabs with 5' 8", 6.5', or 8' beds, so you can get a truck tailored to your needs. Search our inventory of Chevy Silverado 2500HD trucks for sale in Oakdale. See above for more info, or call us at (209) 322-4598 about buying or leasing a Chevy Silverado 2500HD.